Although near-miss situations are fortunately rare in anesthesiology, it is essential to know how to respond if these situations arise. This collection of actual cases, compiled from the author’s thirty-five plus years of practice in major metropolitan hospitals in the United States, Norway, and South Africa, is an excellent review of potential problems and solutions all anesthesiologists should be familiar with. Succinct case presentations describe a problem and the solution, with each write-up concluded by a retrospective analysis examining whether the solution used was actually the best (or only) choice. Other solutions and equally satisfactory outcomes are explored, and tips to help avoid problems altogether are presented where possible. 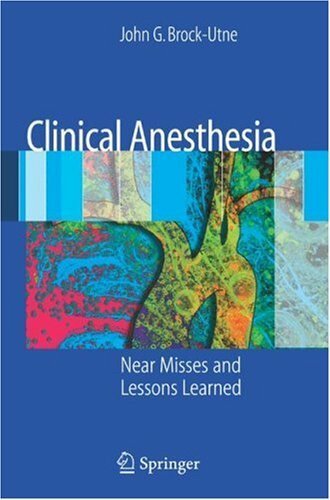 This book may therefore serve as either an excellent review for the American Board of Anesthesiology’s oral exam or as an easy and practical way for the reader to gain familiarity with unexpected problems in clinical anesthesia.